Andrea, Narci, and I are teaming up again to bring you our Friday Favorites!! You should join us!! One of my favorite movies EVER!!! I forgot how much I love it. It was on this past weekend and I watched. Love this girly movie!! He's getting big. He's talking non-stop ALL DAY long! Let me tell you...he has the ability at the age of not quite 2 years old to play to his audience. He doesn't love preschool yet. He doesn't cry when I drop him off, but he isn't stoked to go. My parents are in town and yesterday before school he ALMOST had my mom convinced he needed to stay home because he was sick!! He does it ALL the time in Sunday School. We'll go pick him up and he'll be gently rocking in the teacher's arms!! hahaha! The boy has some skills! My parents are in town and I am officially OFF DUTY!!! My kiddos absolutely love my parents and are pumped about hanging with them this weekend. It's a win-win! Mama gets a little girl time AND they get to hang with the grandparents! new follower and new to the link up! I love finding new mamas to follow, look fwd to reading more of your blog!! Loved the pic of Ebby lee. And girl major win win for you this weekend! Have a great time. Love a girl in some Matilda Jane :) Hope you have fun and enjoy your kid free weekend! I think your son and my son are having the same preschool experience. Once he gets there it's fine, but everything up until then is a huge cry fest. Hoping that it gets easier! Have fun on your trip! Can't wait to hear all about it. 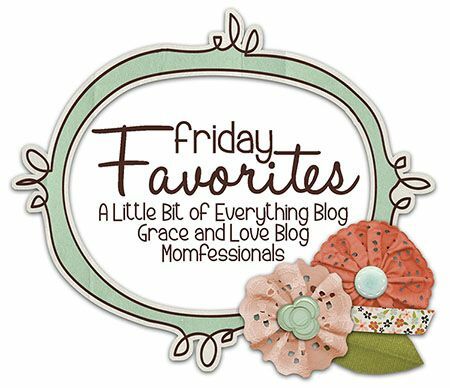 This is my first Friday Favorites post, thanks for the linky! 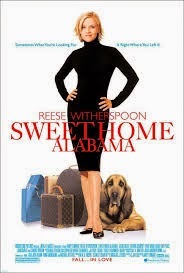 Sweet Home Alabama is my favorite movie too! HAve fun at dot mom!!! 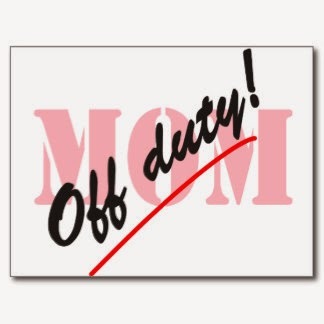 Especially as you are off duty!! EL is posing exactly like Reese on the cover of that dvd! I thought that was why you put it up! She looks precious!